You are bound to make a powerful fashion statement with this desiring navy blue colored french crepe suit. 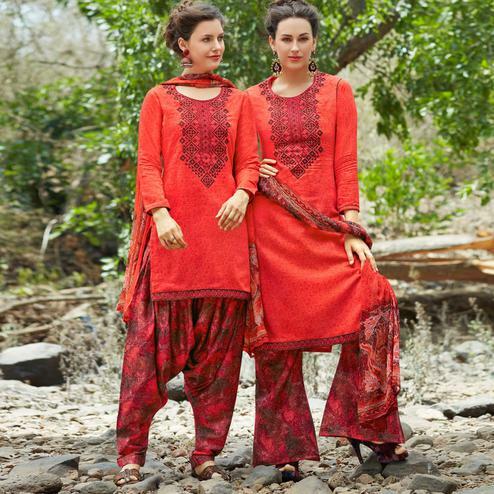 This unstitched attire is beautifully adorned with beautiful embroidery and prints. Attached with french crepe bottom and printed chiffon dupatta which makes it appear more adorning. Women can buy this suit to wear for their upcoming homely functions, parties, kitties, weekend get together. 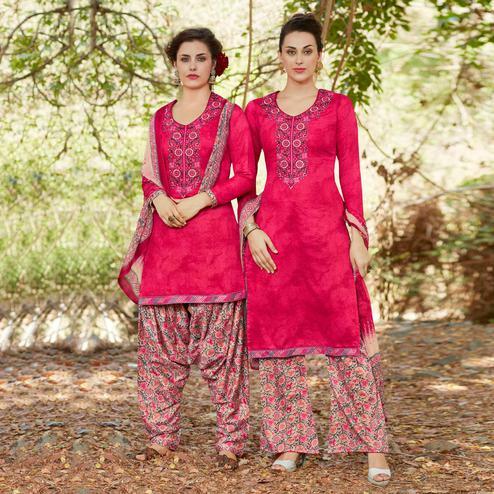 Get this unstitched suit stitched into churidar suit or salwar suit according to your fit and comfort. Team it with ethnic accessories and heels to make your looks more beautiful.